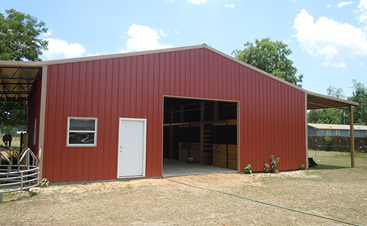 • We design and manufacture pole barns. We at South Alabama Metal Sales are a family owned buisness. We have the best customer service in the South East. 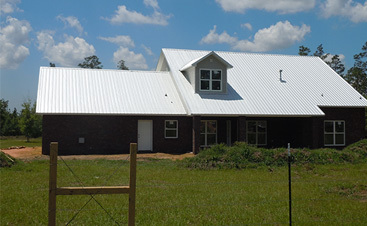 We'll match or beat any price on Metal Roofing or Barn packages using the same Quality of products. We aim to please, and thanks for checking with us! We give you your choice of 15 colors of Roll Form Metal Roofing which, come in two different gauges (29 and 26). To ensure your project will endure the toughest weather, we custom build any type of trim and manufacture our steel trusses with certified welders. 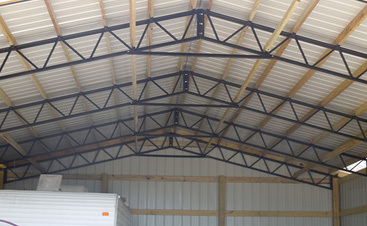 Our trusses are engineered for 150 mph wind loads and our Metal Roofing is Florida Approved and engineered. 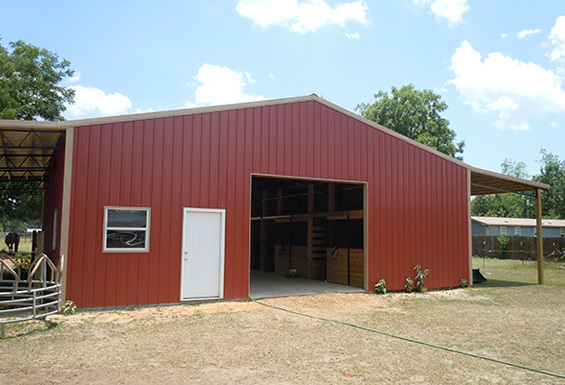 We can build 50 ft wide barns to fit your project needs, and use top-rated .80 CCA treated poles so you can rest easy knowing your barn will protect your property! ©2018 South Alabama Metal Sales - Do not copy. All rights reserved.